Unfortunately, at the time of posting this piece the cherries are indeed 'hung with snow' – real snow that is. 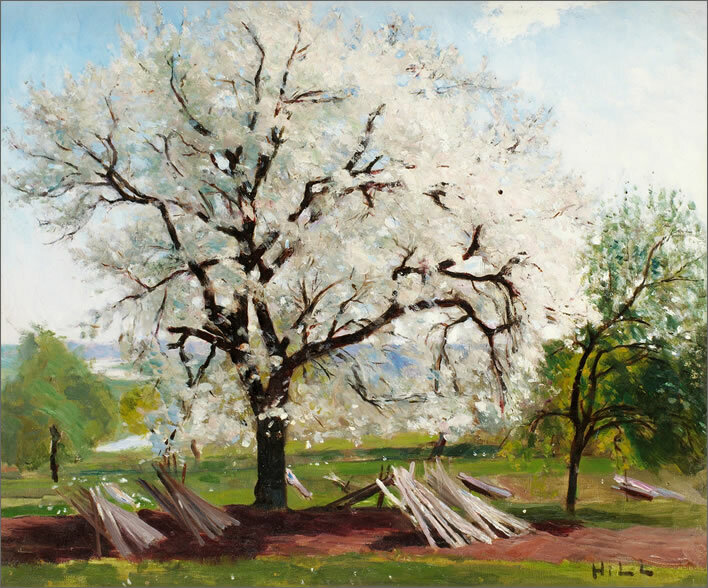 Carl Fredrik Hill (1849-1911), The Flowering Fruit Tree (Det blommande fruktträdet), 1877. Yes, I know, I know – it's an apple tree not a cherry tree. Use your imagination. It was sold at auction in 2010 for 9,200,000 SEK (1,007,600 EUR), almost double the estimated price.